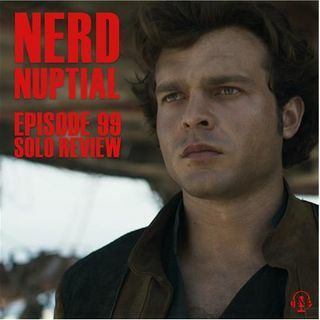 Our review of Disney owned Lucasfilm's second standalone "Solo: A Star Wars Story"
After Disney bought Lucasfilm, everyone was scared that we were going to get some watered down versions of that galaxy far far away. That didn't happen right away, we got divisive films but definitely watered down. Once Rogue One dropped, people saw the callbacks as just that, callbacks. A love letter to the fans saying "we paid attention". After Solo came about and there was even ... See More more callbacks as well as connectivity, the Disney influence was made clear with a Marvel model of connectivity. After a disappointing box office weekend, people are speculating if it was because of the fan rage after The Last Jedi or because this is a story that nobody asked for. Was this our First Avenger or our Ant-Man? Listen to find out what we think.